Get ready for The LXD to burn up the internet next week starting 7.7.10. Visionary writer/director Jon M. Chu takes you behind the scenes of The LXD. Are you ready for the LXD all summer long? This entry was posted in dance, shorts on June 29, 2010 by Kevin Hsieh - channel APA. Fans of Mario Kart Love Song by blinktwice4y (aka Sam Hart) will love his latest creation “Mushroom Kingdom Gurls”. 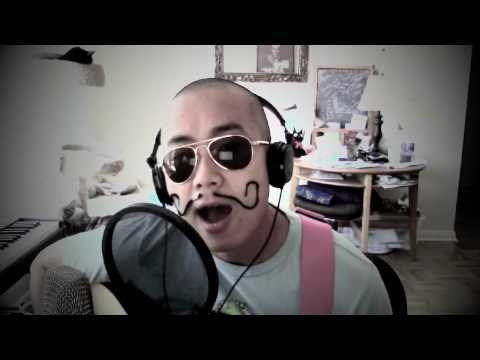 The song fuses his own lyrics, Super Mario Bros., and Katy Perry’s “California Gurls”. Makes us wanna play some SMB now. Where’s the Nintendo system? This entry was posted in music, videogames on June 29, 2010 by Kevin Hsieh - channel APA. K.i.D Entertainment dropped a new joint “Doing Me” by Lil Crazed x Phlip x Dee. These guys keep grindin’ and hustlin’ in the indie music scene, especially Lil Crazed. You can download the track FREE here. Guess there’s a lot of people hatin’ on Asian American artists. Here’s some other tracks on the same topic: I Don’t Care by J Reyez, The Pain by J. Reyez, and Pardon Me by Mike-Dash-E.
like a muhfuccin chauffer sittin in my driver seat. This entry was posted in music on June 29, 2010 by Kevin Hsieh - channel APA. Funemployed episodes are getting longer. In the latest episode, Kyle helps Jason improve his interviewing skills with a little role-playing, but things get a bit out of hand. The pair take a break to relieve stress by doing some indoor rockclimbing. But while helping Jason relax, this ends up being more stress for Kyle. NDTitanLady (aka Natalie Duran) makes a guest appearance. This entry was posted in comedy, shorts on June 29, 2010 by Kevin Hsieh - channel APA. Over the weekend, indie band PaperDoll was the grand prize winner at the 2010 Kollaboration NY competition. Guest judges included acclaimed hip hop producer illmind and Miss Taiwan World Christine Dai. Watch the winning performance of their song “Anything At All” (they sneak in a Mandarin chorus toward the end) and “If Nothing Happened” (Theresa does the robot at the end) below. This entry was posted in events, music, new york on June 29, 2010 by Kevin Hsieh - channel APA. Yesterday, #82 seed Yen-Hsun Lu (aka Randy Lu) pulled off a major upset at the Wimbledon tournament by beating the #5 seed Andy Roddick. He outplayed Roddick for more than 4 ½ hours with a career high 22 aces. Previously, he had never gone beyond the third round in a major tennis championship. From 2006 to 2009, he was ousted in the first round of play at Wimbledon. Now, he’s the first person from Taiwan to reach a Grand Slam quarter finals. Next match for Yen-Hsun Lu is against #3 seed Novak Djokovic. This entry was posted in sports on June 29, 2010 by Kevin Hsieh - channel APA.